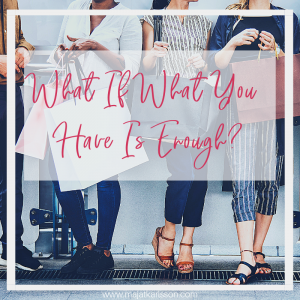 What If What You Have Is Enough? 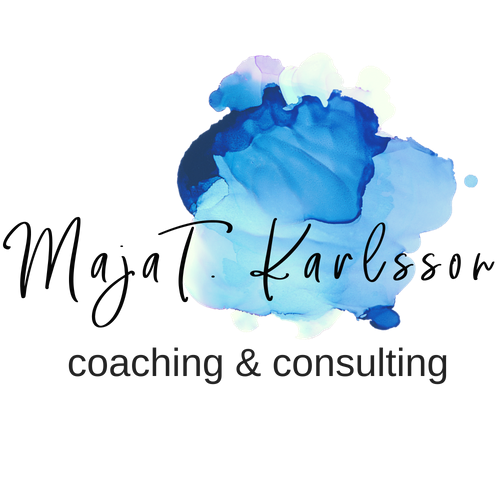 How do you become an intentional consumer in 2019? Lately I’ve been reading a lot about overconsumption and the impact on our environment of buying, just for the sake of buying. I thought this was a worthwhile day to share my thoughts with you since in Canada, anyway, it is “Boxing Day”, a statutory holiday, and over my life, has always been day of most consumption in the country. I remember back when I was a teen-ager that we would get up really early in the morning to drive to Victoria (an hour drive) so that we could line up at A&B Sound to buy all the music we didn’t get for Christmas, and then spend the day shop, shop, shopping! This one day is now maybe being overshadowed by “Boxing Week” and also “Black Friday”, which we’ve adopted from our neighbours from the south. In the meantime, I’ve been doing a kind of informal “no-shopping challenge” over the last number of months. This means that while I have been grocery shopping, I have purchased almost nothing else that isn’t related to experiences (e.g. travel, skiing, cycling, etc.). Interestingly, similar to my “minimized wardrobe”, this way of not shopping has become my new normal, and I’m now much MUCH more particular about what I actually do buy. But in anticipation of the holidays, I have found myself in stores, seeking that “perfect” Christmas gift. It turns out that this has made me even more aware of my need to continue my no-shopping challenge over the next year for the following 2 reasons. First, I’ve lost my shopping stamina but much more importantly, when I walk into stores, I want the things I see – ALL OF THEM! And when I come home I don’t like what I have as much. It feeds discontent. I don’t like that. In case you’re interested in seeing more about the impact of consumerism, here are three interesting YouTube videos. The first is about 10 years old and is longer but really informative. The second is a new and quick update of the first, but very impactful! They both talk about the way that this consuming cycle was engineered to improve the economy and that marketing has severely impacted our personal choices. The third is a short really interesting look at the life cycle of a typical t-shirt you might buy at your local store. Unfortunately, consumerism is impacting our earth. The climate and people around the world are suffering more and more with each passing year. Can you shop and still be an intentional consumer? I encourage you to answer the following questions as you consider Boxing Day shopping and your plans for 2019. I know that I will! Whose voice are you listening to that tells you can’t be happy with what you have now? What would it take to be happy right now with all the things you have? Based on the above questions, what are your personal shopping guidelines for 2019?